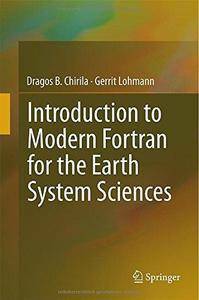 This work provides a short "getting started" guide to Fortran 90/95. The main target audience consists of newcomers to the field of numerical computation within Earth system sciences (students, researchers or scientific programmers). Furthermore, readers accustomed to other programming languages may also benefit from this work, by discovering how some programming techniques they are familiar with map to Fortran 95. The main goal is to enable readers to quickly start using Fortran 95 for writing useful programs. It also introduces a gradual discussion of Input/Output facilities relevant for Earth system sciences, from the simplest ones to the more advanced netCDF library (which has become a de facto standard for handling the massive datasets used within Earth system sciences). While related works already treat these disciplines separately (each often providing much more information than needed by the beginning practitioner), the reader finds in this book a shorter guide which links them. 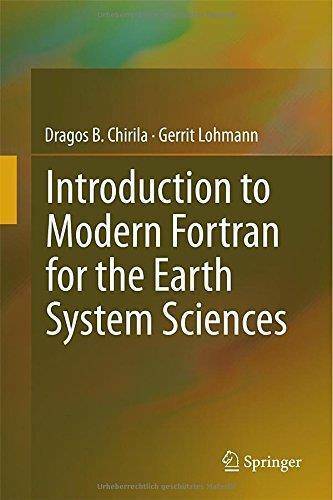 Compared to other books, this work provides a much more compact view of the language, while also placing the language-elements in a more applied setting, by providing examples related to numerical computing and more advanced Input/Output facilities for Earth system sciences. Naturally, the coverage of the programming language is relatively shallow, since many details are skipped. However, many of these details can be learned gradually by the practitioner, after getting an overview and some practice with the language through this book.